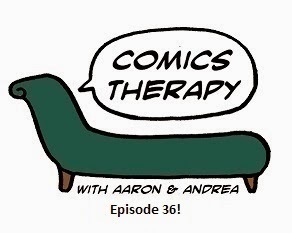 Comics Therapy: Episode 36 - Road Trip! No books this week. What? Yeah, Andrea came up to visit on her way to Emerald City Comic Con so we had an in person show. She also didn't have time to read anything so we just talked, and talked about questions you wanted us to talk about. There is a lot of talking. Next week things should be back to "normal". If you hate this one, consider it a bonus episode, we wanted to put something up for you otherwise we would have had to skip this week.